In the moments after my baptism, after that soggy hug with Miss Kay, we stood outside the church building. There Miss Kay told me what Jason had said. With what I’d just experienced, I couldn’t deny that the Devil was very real and that he’d had me under his spell. But how did Jason already know about him? She took my hands and smiled. She’d told Jason the Devil had been driven from me, but it didn’t mean it’d be smooth sailing. I’d still be rough around the edges, she told him. Rough edges. I sup- pose that was the kindest way to describe me. But Miss Kay assured me she’d take all my rough edges. She was just glad to have her family back. The Devil, that father of lies who’d convinced me I needed my freedom, was gone. I could almost feel him leaving my body, my trailer, my land. In an instant my penchant for drinking, getting high, and cheating on Miss Kay had evaporated. My road of self-destruction and death had been rerouted. Newly soaked with the waters of a physical and spiritual baptism, I’d been set on the straight-and-narrow, and for the first time in my life, I really wanted to be good. But how is a bad man supposed to be good? Can you teach an old river rat new tricks? I figured there was only one way to change my lifestyle. I’d need to shun all those lies I’d believed and walk into the truth. To do that, I needed space. I needed separation from those old boys who were running buddies with the Devil himself. But even though I knew what I needed to do, my life of new faith was not without setbacks. In the first month of my conversion, one of my old buddies came along and asked me to go fishing with him. Fishing with an old friend in the middle of the afternoon couldn’t hurt anything, could it? I asked him whether there was water in his cooler, and he said there was. With that, we were off. An hour into our fishing expedition, with the Louisiana sun beating down on our boat, I went for the water. To my surprise, I discovered that he’d only brought a couple of six packs of beer. (Should I have been surprised? Liars lie, after all.) It was midday, and humidity had sucked every ounce of moisture from me. What was a thirsty man supposed to do? Couldn’t I drink a beer or two and be fine? So I grabbed a can, pulled the tab, and drank. headed back. When I stumbled back into the trailer, there was Miss Kay, sitting in her rocker and chatting with my parents who’d come for an unexpected visit. She knew in an instant, but she asked anyway. I sat through that church service, ashamed that I’d been tricked into drinking. I don’t remember the sermon. I don’t remember the songs we sang. I do remember the sense of conviction that plagued me throughout the service. When I walked out of church that morning, I knew I had to double down on my efforts to escape Satan’s snares. How could I go back to running with the good ol’ boys? Weren’t they living under the influence of the evil one? Weren’t they the ones who led me into the prison of my own desires? Didn’t they want to lure me back to those old haunts, the places that were devoid of peace? And this new family, this family of God, weren’t they more gracious and loving than any of my old running buddies? I’d spent twenty-eight years under the influence of Satan. I knew it’d take time to untangle all those lies, and you can’t untangle the lies of the Devil when you’re running with his children. I knew what I needed to do, and I entered a self-imposed sort of holy witness protection program. We’d already moved, and the boys from Junction City didn’t know where I was living. I changed my phone number. I cut off communication with the men who’d trained me to follow my own desires. I stopped running around with Big Al and the crew once and for all. I lived like a recluse, almost as if I were in hiding for the first three months. In those reclusive days, Bill invited me to a Bible study with a rather prolific group of well-known sinners. In that study he taught us the truth about sin and the father of sin. The Devil, he said, was the father of lies, and he was prowling, looking for an opening to steal us back. He taught us that the only way to combat the lies of Satan was to devote ourselves to the study of Scripture and to allow God to speak through its pages. 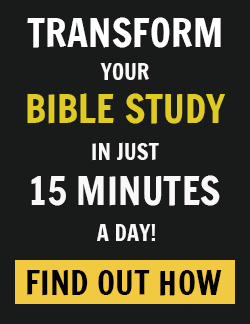 And so I devoted the majority of my waking hours to studying the Bible. I pored over the onion-skin pages and began to mark them up. I consumed the Word of God as if it were food and drank deeply from its waters of wisdom. As I read and read and read, I saw the truth about the human condition: every last one of us has been infected by sin; every last one of us is under the influence of the evil one. As Miss Kay and I righted the ship of our marriage, I decided I needed to leave the oil fields and put my education to work. I had two college degrees and classroom experience, but I’d lost my teaching job in Junction City on account of my wayward lifestyle. What’s more, I had a record with the law, a thing that doesn’t earn you any points with high school administrators when you’re looking to steer the lives of the town’s youth. But, resolved to make good, I went to my new church family and asked them to put in a good word. Bill Smith reached out to contacts he had at a Christian school in Ouachita Parish, and though they would not hire me for a permanent position, they allowed me to substitute teach. I worked hard, did the best I could, and before long I was hired as coach and literature teacher at Ouachita Christian School. 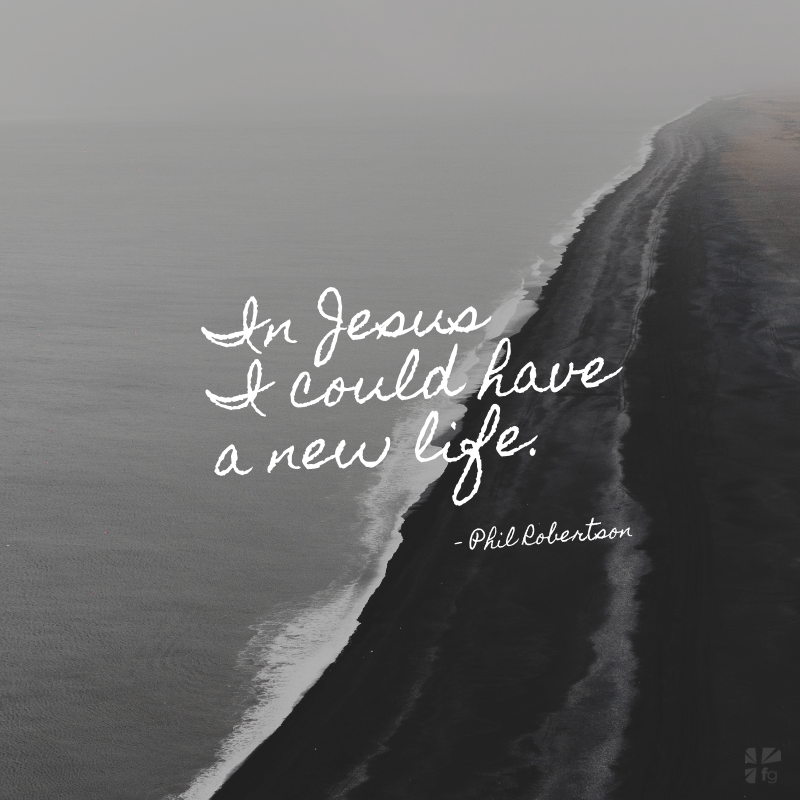 in Jesus I could beat sin and death; in Jesus I could have a new life. It stripped me of my desire to go back to my old partying ways, sure. Even more, it set me on a path of understanding. And in that understanding, an unquenchable desire to free others began to grow in me. Excerpted with permission from The Theft of America’s Soul by Phil Robertson, copyright Phil Robertson. Don’t believe the lie that there is no devil. We have an enemy and he plots and schemes against us. And, no matter what, don’t quit praying for your family and friends who have yet to receive salvation from Jesus! He can reach anyone. And, He can change the life of any willing person! 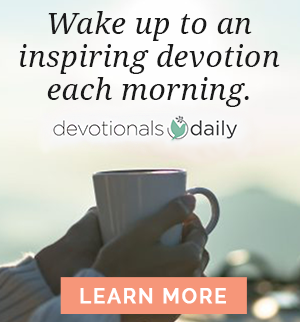 Come share who you are praying for on our blog. We want to know!